Will the man who fostered Samsung’s new golden child win battle against market police? It all started with a command from the chairman who laid out the future of tech giant Samsung, the world’s largest chipmaker. Samsung Biopharma was one of the five new businesses that now-bedridden Chairman Lee Kun-hee came up with in 2010. But it was a mid-level salaryman who engineered the birth of Samsung’s biologics business and watched it grow. 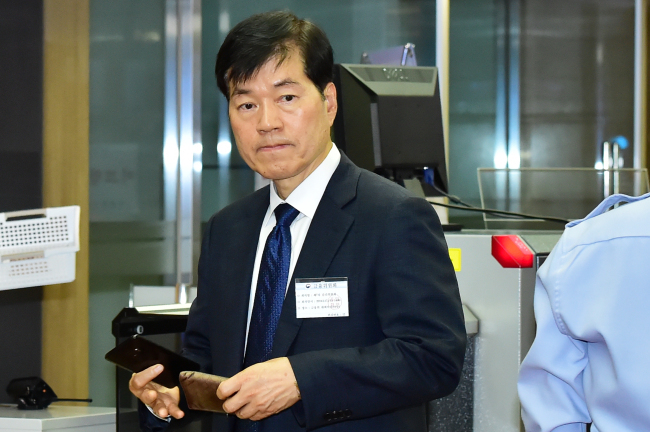 Samsung BioLogics CEO Kim Tae-han was one of many executives at Samsung’s now-defunct Corporate Strategy Office -- a control tower that orchestrated the conglomerate’s tech-to-resort business -- taking part in drafting its new direction. The then-chemical engineer, however, was given an unusual mission: biopharma. And he literally started from scratch, from hiring foreign engineers to choosing the color of Samsung BioLogics’ office building in Songdo. The timing seemed right. With the industry shifting from hardware to software technologies, bio became the talk of the town, and money followed. The strength of Samsung’s semiconductor business and its similarity with bio manufacturing mesmerized investors, even global drugmakers who have dominated the market so far. Samsung BioLogics is currently the seventh most valuable company on the Kospi. The South Korean contract drug manufacturer, however, is facing its first -- and biggest -- crisis ever. The market watchdog, the Financial Supervisory Service, has accused the company of committing accounting fraud by inflating the value of its subsidiary Bioepis. And Kim, as a Samsung CEO, while refuting the accusation, reacted quite emotionally, threatening to hold the watchdog responsible for damages. Amid the clash between the two, the FSS’ upper body, the Financial Services Commission, has convened a series of meetings of accounting oversight panels, with the last session scheduled for Thursday. After this final meeting, the panel will refer the case to the Securities and Futures Commission for a final decision. The announcement is scheduled on June 7. The battle between Samsung BioLogics and the FSS came at a crucial time when the company is making a big step forward from being a mere CMO to a CDMO, which provides not just manufacturing but also drug development services. With its plant 3 completed, Samsung BioLogics has set its sights on the next phase: taking over in-house biologics manufacturing for global pharma, according to market analysts. CMO accounts for 1.1million liters, while in-house accounts for 2.9 million liters, or 75 percent of global capacity. The world’s largest bio manufacturing plant secured the first order from an undisclosed US pharmaceutical firm in February. But no additional order has been announced yet. To cement its presence, however, a newcomer like Samsung craves global recognition. And the upcoming BIO USA to be held in Boston next week was considered the right place for that. The company is ready to bag new contracts for plant 3. But concerns are being raised over how much it could attract without its commander, Kim who canceled his trip to the event. Aside from Samsung potentially losing considerable business opportunities, market insiders also worry that the latest accounting controversy could damage its compliance credibility and its global reputation. In Europe, traditionally known as home to the pharmaceutical industry, the skyrocketing growth of the South Korean company so far has been regarded as “sensational.” Even Lonza, “the untouchable” biotech giant, is watching Samsung closely, said a market insider in Europe. It is also widely expected that Bioepis will have another five blockbuster biosimilars, before exploring novel biologic drugs, he added. So far, it is operating pipelines for six biosimilar candidates. Questions remain over whether Kim can avert the recent crisis, and keep pursuing the long-term goal of Samsung BioLogics. For instance, without the help of Samsung heir Lee Jae-yong. Lee had helped Samsung BioLogics secure new contracts when it was making initial steps, by meeting the management of global pharmaceutical companies. “It won’t be easy for Lee to do so,” a market insider said, citing growing suspicions of Samsung BioLogics being part of his succession scenario. Samsung C&T holds a majority of BioLogics shares, 43.4 percent, followed by Samsung Electronics with 31.5 percent. Lee holds 17.23 percent in Samsung C&T, which holds 4.1 percent in Samsung Electronics and 19.34 percent in Samsung Life Insurance -- two units at the apex of Samsung’s corporate governance. 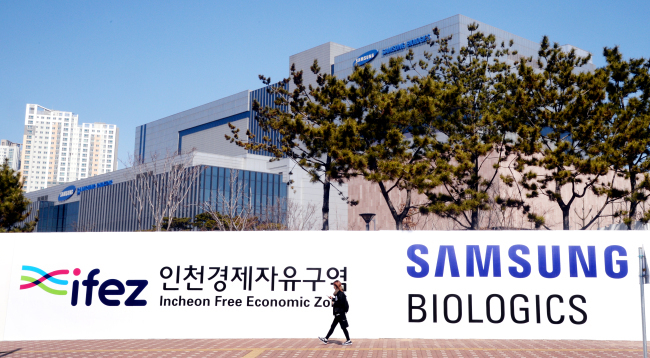 The FSS, however, has said that the battle it is engaging with Samsung BioLogics is to target the bio industry and its accounting standards, not the Samsung heir.